with love for everything we settle in. of the inner parts. Thou tintinnabulation. bread and offer up one's armful to the throng? theirs. Is it not marvelous to be forgetful? Ha, very funny, great shot! Your title made me laugh and brought back wonderful memories. I wouldn’t want a monitor like these, but it made a great image:-) Thinking about it now, it hasn’t really been that long since those monitors were in use. 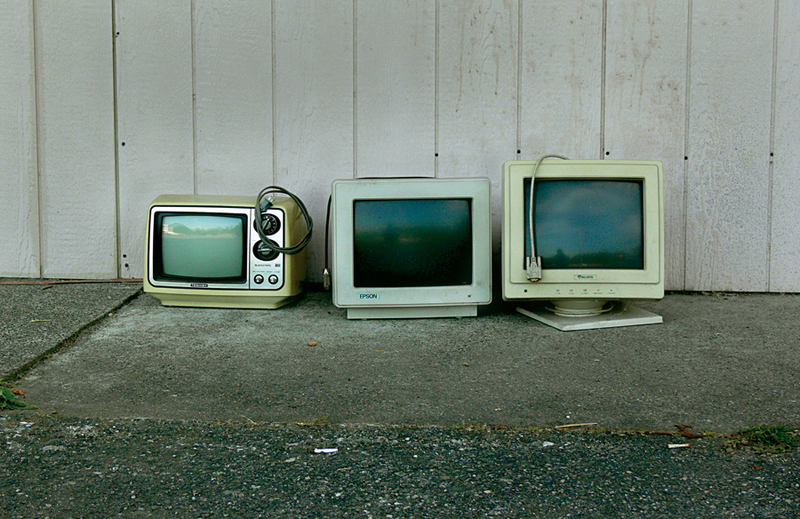 Very entertaining shot you have got here, old CRTs sitting out and about like they got some conversation going. Nice framing. Really nice pictures of nice milestones in screenhistory! may I use it as a wallpaper?